Oceans are crucial to the future of developing countries. No one in the development sector would disagree. 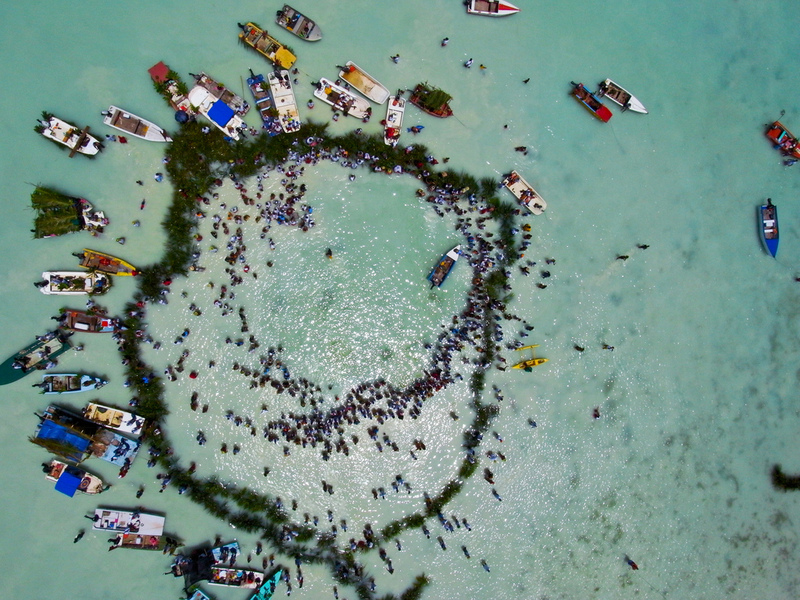 AusAID recently commemorated World Ocean Day  and explained its current activities in this area. No doubt there is more Australia could do, especially in light of the recent debates at Rio+20 about the ‘blue economy ’. Climate finance is coming down the pipeline and debates continue about how it should be spent. But I’m not sure that Sam Bateman and Anthony Bergin are right with their suggestions this week  that Australian aid should be spent on ocean security management. I think there are two major problems. The first is that while the OECD Development Assistance Committee guidance  allows flexibility around what types of activities promote economic development and welfare in developing countries—and can therefore be considered ‘Official Development Assistance (ODA) eligible’—there are definite limits. Although Bateman and Bergin correctly acknowledge that intent is all important, customary practice by OECD countries suggests that activities such as military aid, paramilitary activities and counterterrorism are excluded. While research can qualify as ODA, it has to be primarily relevant to the problems of developing countries—and I’m not so sure that law and order on the high seas is a priority for nations which still don’t have access to clean water and sanitation. (Matt Morris on the DevPol blog  has more on the topic of research.) So the argument would have to be made carefully that the proposals were ODA eligible. The second more important issue however, is that since 2011 the Australian aid program is focused on helping people overcome poverty. The focus isn’t poor states, but rather poor people. In response to an independent review  of the Australian aid program last year, the government has focused on making the aid program pro-poor, because that’s what Australian voters expect, and what Australia as a nation is accountable for as an international donor. Further, the new budget process for aid and focus on results and value for money is much more rigorous than ever before. No longer is the aid program the ‘magic pudding’ or ‘force multiplier’ when extra soft power is required. Within the new rules, AusAID must now undertake meaningful evaluations of ODA across the whole of government. There is a new Whole-of-Government Branch in AusAID, and they have their work cut out for them in dealing with much larger and more powerful segments of the Australian Public Service, not least of which being Defence. The cautionary tale of ADF-led aid in Uruzgan in Afghanistan, intent on winning hearts and minds but leaving white elephant aid projects, illustrates the challenge AusAID will have in turning some government departments around to a pro-poor stance. The current government push to use the aid program as a political sweetener as part of a Pacific Solution Mark II is another example which could distort the revamped aid program. None of this is to say that the ‘ocean aid’ idea couldn’t be developed in a whole-of-government pro-poor manner, with an evaluation framework that would demonstrate results for poor people. It isn’t immediately obvious what those benefits would be. As it stands it’s on the borderline of what’s considered ODA eligible and good practice because of the strong security focus. Think of the reverse proposition: saying that providing food security is a great way to prevent armed conflict in a community and should therefore come out of the defence budget is a very indirect argument. The question is: will it help people overcome poverty? When and how? That said, it’s positive to see debate about these issues because it needs to focus on what helps poor people escape poverty. And that can only be a good thing. Sue Harris Rimmer is the advocacy manager for the Australian Council for International Development (ACFID), the peak body for Australian aid and development agencies. Image courtesy of Flickr user Pierre Lesage .